Here are some photos from Friday's Clackamas-Gresham boys' basketball game at Clackamas High School. 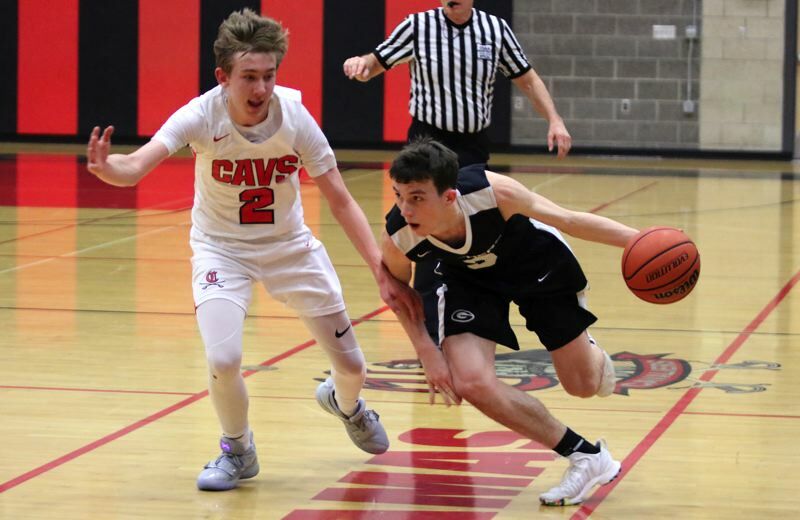 Ethan Abrahamson and Daello Portin-Chapman scored 14 of Gresham's final 16 points as the Gophers rallied from a nine-point deficit in the final 4:08 and pulled out a 61-60 Mt. Hood Conference road win over the Cavaliers. Trailing 54-45, the Gophers went on a 16-3 run, taking the lead for good when Abrahamson knocked down two free throws to make it 58-57 with 23.1 seconds remaining.